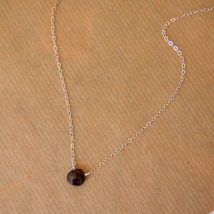 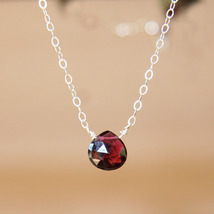 Simple and elegant - a beautiful garnet briolette hangs from a delicate sterling silver chain. 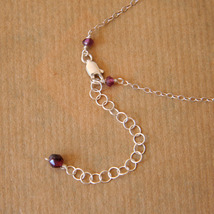 Lobster clasp is surrounded by tiny garnet rondelles and links anywhere along a 2 inch extender chain. 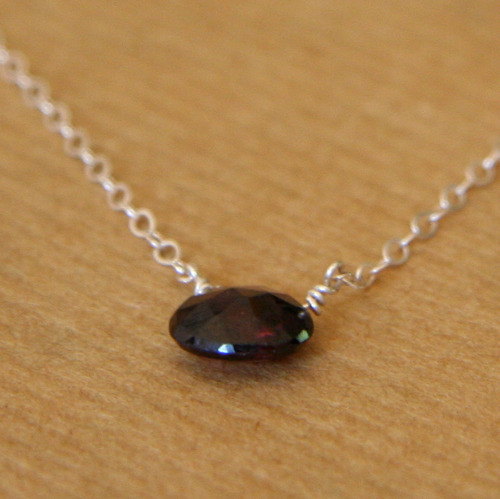 All silver is sterling. 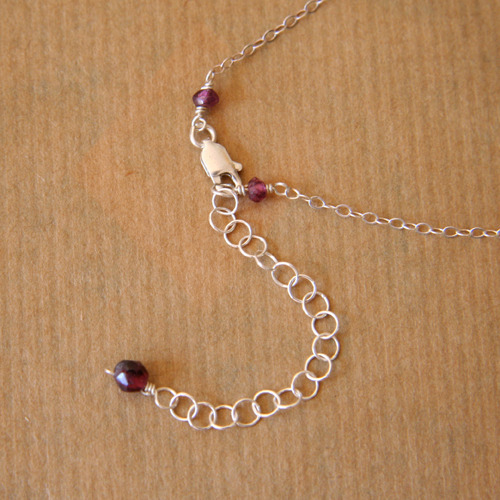 Chain is 15 - 17 inches long. Garnet drop is 8mm.